Sad news to report. Frank Vincent, one of the most familiar faces from The Sopranos, Goodfellas, and Casino has died at the age of 78. TMZ reports that the actor died from heart surgery complications. Vincent reportedly suffered a heart attack last week and underwent open-heart surgery on Wednesday and died during the surgery in a New Jersey hospital. John Gallagher, who directed Vincent in Street Hunter and The Deli also posted the news too social media. 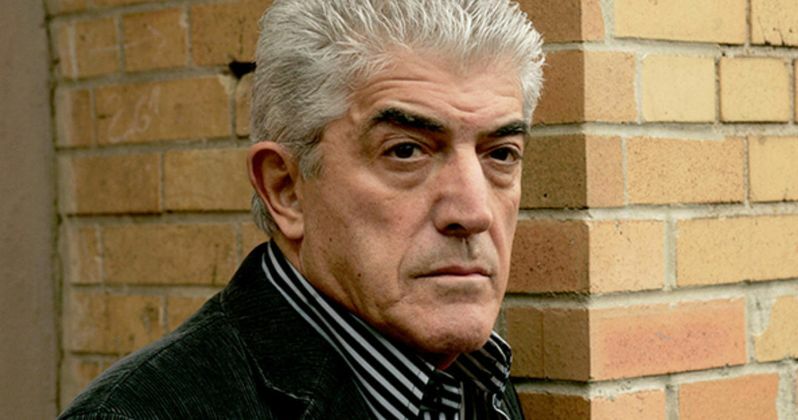 Frank Vincent portrayed tough guys under direction from Martin Scorsese in Raging Bull in 1980, Goodfellas in 1990 as the real-life gangster, Billy Batts, and then 1995's Casino before joining the cast of HBO's wildly successful The Sopranos as mob boss Phil Leotardo. Scorsese saw Vincent portraying a gambler in 1976's The Death Collector with Joe Pesci, who helped him get the role in Raging Bull alongside Robert De Niro. Vincent's Leotardo character in The Sopranos often butted heads with James Gandolfini's Tony Soprano as he eventually became the boss of the Lupertazzi crime family. Vincent often praised the writing for his character on the hit show for its realistic take on the mob. Frank Vincent Gattuso Jr. was born in North Adams, Massachusetts and raised in Jersey City, New Jersey. His father was an iron worker and a businessman and he had two brothers and a half-sister. Vincent played the drums, trumpet, and piano and originally thought that he would be a professional musician. He later turned to acting after he co-starred in The Death Collector along with Joe Pesci where they were spotted by Robert De Niro and Martin Scorsese who cast them both in Raging Bull. Vincent, Pesci and De Niro appeared together in several later movies. In most of their films together, Vincent's character has an antagonistic relationship with Pesci's character, and one usually ends up attacking or killing the other. In 1996, Vincent appeared in the music video for rap artist Nas' song "Street Dreams" in character as Frankie Marino from Casino. In the television movie Gotti, Vincent played Robert "D.B." Dibernardo, an associate of Mafia boss John Gotti, whose life the movie chronicled. In the HBO TV series The Sopranos, he had his most prominent role, as Phil Leotardo, a ruthless New York City gangster who, as boss of the show's fictional Lupertazzi crime family, and becomes the show's main antagonist in the final season. In 2006, Frank Vincent wrote his first book entitled, A Guy's Guide to Being a Man's Man, which received positive reviews. Vincent's idol was Dean Martin because of his flair for style as well as his naughtiness that he tried to emulate. When asked if he ever worried about being typecast as a gangster, Vincent had this to say. "It's true. That's the way Hollywood perceives it. They need a gangster, they call Frank or Joe. An Italian-American? Frank or Joe. I'm currently starring in a string of Miller Beer commercials where I am playing a gangster. It is who you are." Frank Vincent was an amazing bad guy and he will be missed. RIP, Mr. Vincent.